My Name is Chien: Operation Blonde with Lolane Pixxel Color Cream! 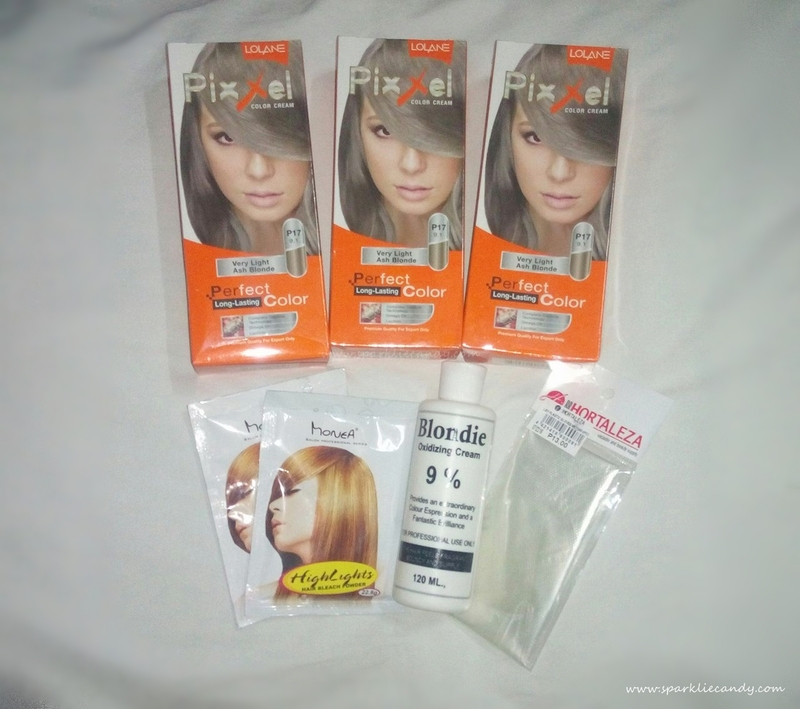 Operation Blonde with Lolane Pixxel Color Cream! Lalalala ice cream cake! I am thrilled, excited and scared to change my hair color! YAY. So finally I will be giving operation blonde another shot. I asked my sister to buy me Lolane Pixxel Color Cream in Very Light Ash Blonde P17 and tadah! I got the shade P17 in 3 boxes because I have bra length hair. The staff in Hortaleza said that 2 bleaching powder is enough? Hmm might reconsider that later. Yes guys and gals I will be using this babies later and I cannot really imagine how it will look on me. I am still on the fence if I should add another extra light ash blonde shade to the mix because the Lolane Very Light Ash Blonde is color gray on the box! It would be crazy to bleach and come up with black gray after. What do you think?